Sunday December 9, 2018 at 8pm: Annual Christmas Dinner-Dance. Always a good time. Theme and other details TBD. Just get this on your calendar. PLEASE NOTE THE DATES: An incorrect date was previously announced (apologies). 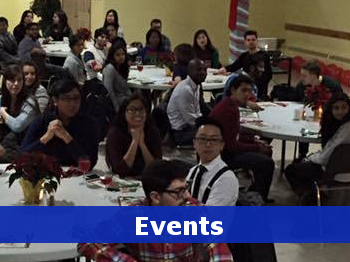 Another great event with our friends from the three chaplaincies in Waterloo, Guelph, and Hamilton. If you haven't heard about it, ask someone at the Student Centre. It's a blast. It's a more relaxed and social retreat, with all activities optional (though learning, spiritual, and social opportunities abound). Watch for further registration information on this site and on facebook. This year the theme will be on Catholic dating, and what that really looks like. 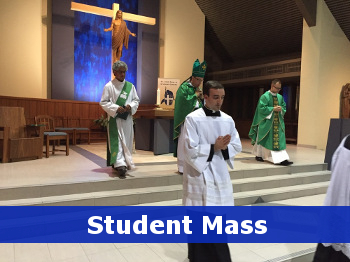 No matter what your vocation may be this is a retreat for you! Starting Tuesday October 30: "Not a Chastity Talk"
"The Forge" will resurrect the popular and controversial three-part series "Not a Chastity Talk" for three weeks (Oct 30, Nov 6, and Nov 13). This is all about pursuing or investigation the vocation of marriage. Many of us have been to chastity talks, mostly centred on giving well-founded reasons for avoiding sexual sin. This is not that. This is a practical exploration of Catholic friendship, courtship, and everything in between. It's about intentionally pursuing marriage. It's sure to be lively. It will also dovetail nicely with the Deemerton Winter Retreat. See you there! Followed by a social in the Student Centre at (app. 8:15 pm) - pizza at least once per month (at least). 8:30 - ? : Games night! Bring your favourite board/card game, use one of ours, or just chill in the Student Centre. Probably involving ping-pong. Not gonna lie. 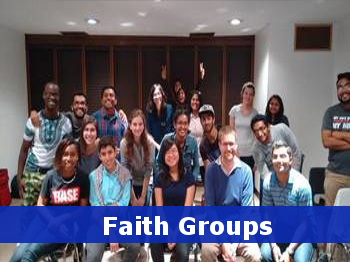 Wednesdays at 6:00pm in JP2SC - St. Philip Neri Room. Home-cooked meal prepared by our hospitality team. If you're family, there's no need to pay. But a freewill donation of $1-$2 or whatever you can offer would be accepted in the box provided. Are you discerning a call to ordained or consecrated life? 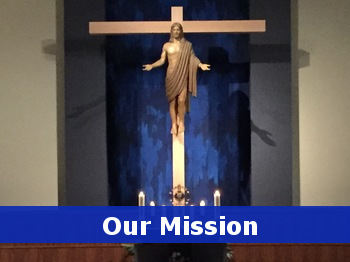 Father Dave Walter (our priest chaplain) and Father Michael King (diocesan vocations director) lead a discernment group on the first Sunday of every month during the school year at 6:00pm in JP2SC (Canadian Martyrs' Room). NB: Campus Minister is available most days in the Student Centre or by appointment. Most Saturdays 8:00pm. See facebook for details. Sort of informal.